Chart No. 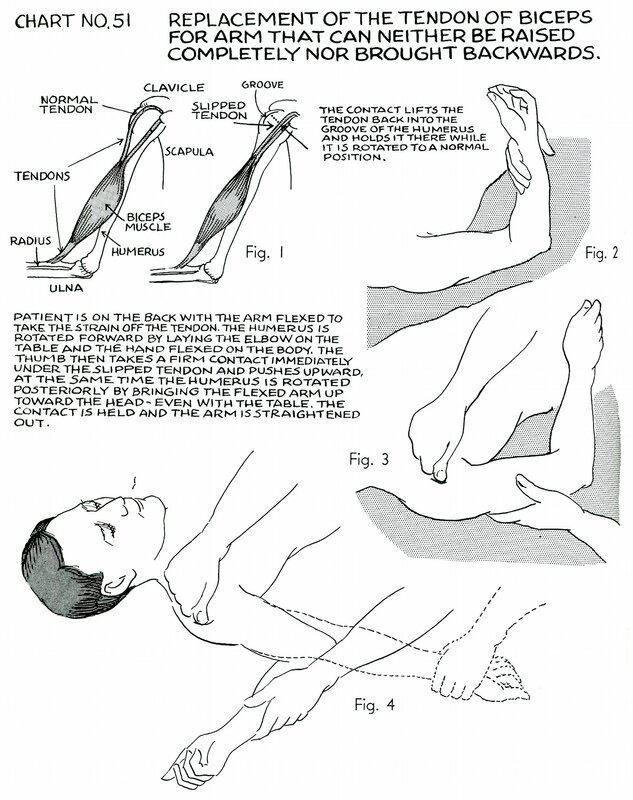 51 - Replacement of the Tendon of Biceps for Arm That Can Neither Be Raised Completely Nor Brought Backwards. 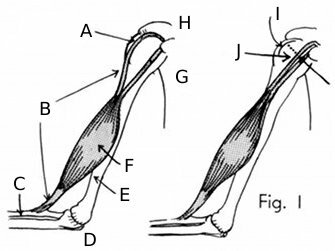 The contact lifts the tendon back into the groove of the humerus and holds it there while it is rotated to a normal position. Patient is on the back with the arm flexed to take the strain off the tendon. 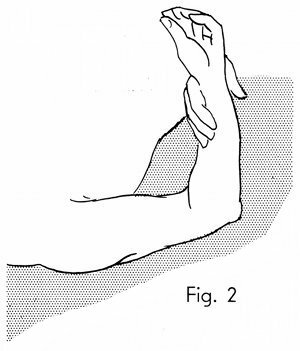 The humerus is rotated forward by laying the elbow on the table and the hand flexed on the body. 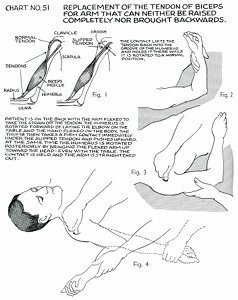 The thumb then takes a firm contact immediately under the slipped tendon and pushes upward, at the same time the humerus is rotated posteriorly by bringing the flexed arm up toward the head - even with the table. 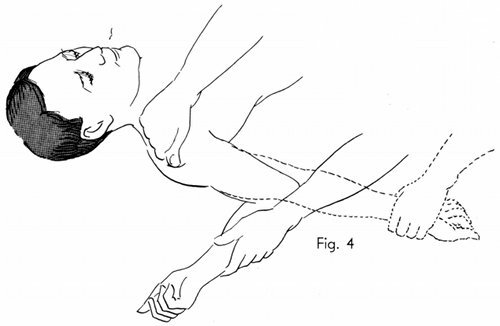 The contact is held and the arm is straightened out.